“How Smart Machines Think” by Sean Gerrish is a new MIT Press book that I would recommend to two classes of people: enterprise decision makers who are charged with evaluating AI, machine learning and deep learning technologies for their companies, and on the flip side, people who are looking to transition into the field of data science but know little about it. This is a great book for people in a hurry, something to pop into your carry-on bag the next time you’re on a cross country flight. Deep Neural Networks (DNNs), upon which deep learning is based, are trained with large amounts of data, and can solve complex tasks with unprecedented accuracy. TensorFlow is a leading open source software framework that helps you build and train neural networks. 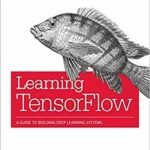 Here’s a nice resource to help you kick-start your use of TensorFlow – “Learning TensorFlow” by Tom Hope, Yehezkel S. Resheff and Itay Leider. Normally the books I review for insideBIGDATA play the role of cheerleader for our focus on technologies like big data, data science, machine learning, AI and deep learning. They typically promote the notion that utilizing enterprise data assets to their fullest extent will lead to the improvement of people’s lives. But after reading “Weapons of Math Destruction: How Big Data Increases Inequality and Threatens Democracy,” by Cathy O’Neil, I can see that there’s another important perspective that should be considered. I recently had a need for a Python language resource to supplement a series of courses on Deep Learning I was evaluating that depended on this widely used language. As a long-time data science practitioner, my language of choice has been R, so I relished the opportunity to dig into Python to see first hand how the other side of the data science world did machine learning. The book I settled on was “Python Data Science Handbook: Essential Tools for Working with Data” by Jake VanderPlas. As a practicing data scientist, I’ve spent years building up my library of academic and practical resources that I routinely draw upon for helping me do my work. Although my library is vast, I have a select group of books that occupy a prominent position on my desk. I’ve been asked enough times about my “favorite titles” list, I thought I’d write this article for my readers. 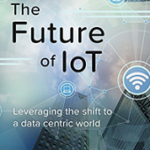 “The Future of IoT – Leveraging the Shift to a Data Centric World,” by Don DeLoach, Emil Berthelsen, and Wael Elrifai is a self-published gem for anyone wondering about IoT. The overarching theme of the book is consistently – data, information, and knowledge – with a wrapper of use case examples to make it real. The book will assist you in kick-starting your evaluation of IoT technology in terms of all that data and how best to capitalize on it. As a data scientist, I have a handful of books that serve as important resources for my work in the field – “Statistical Learning with Sparsity – The Lasso and Generalizations” by Trevor Hastie, Robert Tibshirani, and Martin Wainwright is one of them. This book earned a prominent position on my desk for a number of reasons.